The demonstration began with four players on stage, controlling the members of Fireteam Osiris; Locke, Tanaka, Vale, and the returning Edward Buck. The co-op was later confirmed to be seamless drop in/drop out. They are deployed to a covenant world tracking the Master Chief, using something called ‘the artemis’. 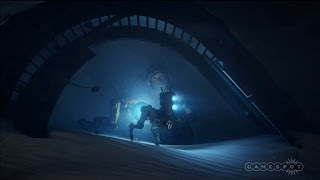 A huge Forerunner construct, called a ‘guardian’ is seen in the background. The player controlling Locke uses the squad commands to order a teammate to shoot down a new form of Promethean aerial unit - which is odd, because the teammate is supposed to be player controlled. The Fireteam was engaged by human-like Prometheans and at one point a Plasma Caster, some sort of grenade-bouncing Covenant weapon is equipped. The level ends when a talking, sword-wielding Promethean leaps upon the player. Halo’s new multiplayer experience was revealed; Warzone. 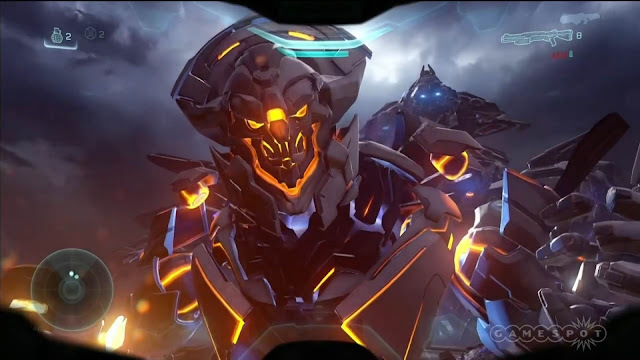 In this mode, 24 players joined by AI combatants, including Prometheans and Covenant, face off in maps 4 times larger than any before in Halo. The tagline ‘...everything is possible’ was used. 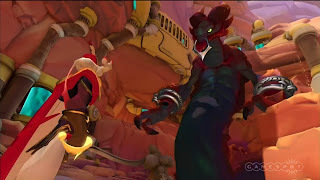 A cinematic trailer was shown for Keiji Inafune’s latest game. The trailer showed a woman and a robot dog traversing a desert, before being ambushed by a pack of red glowing robot spiders. The dog sacrifices itself to take out the spiders, the woman then uses its blue glowing core to reanimate a robot gorilla. Phil Spencer appeared on stage and announced previously-thought-impossible backwards compatibility with Xbox 360 games. Publishers must approve the compatibility and Microsoft will take care of the work. It sounded like games are being added to the service in the same manner as the Xbox 360’s original Xbox compatibility. Digital purchases will appear in people’s libraries and physical copies will work too. The original Mass Effect was shown, which apparently runs better because it has screenshot capability now? The service will launch this holiday at no additional charge. 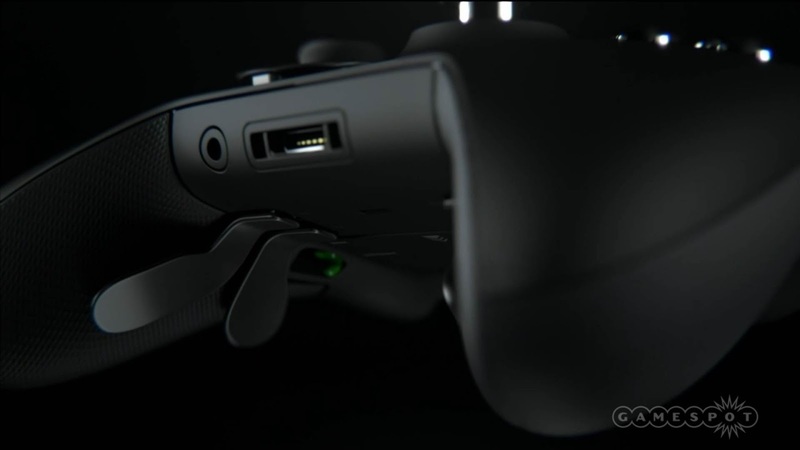 A new controller was announced, boasting a precision directional pad, hair trigger locks, swappable thumbsticks, additional rear paddles, and a whole lot more. It will be releasing this fall. Todd Howard arrived on stage and delivered a short demonstration of the Fallout 4 content previously shown at the Bethesda Press Conference. He then announced that PC mods will be able to be installed on the Xbox One version of the game, at no additional cost. It was later also confirmed that the backwards compatible Fallout 3 will be included with the Xbox One version of Fallout 4. Peter Moore ran down the myriad reasons why he believes EA Access is a quality service. All EA games, including Madden and Need For Speed will have an early access period on the service. Additionally, Titanfall is going to be added to the Vault of available games, with Dragon Age: Inquisition arriving later this year. Xbox Live Gold members now have a free week trial of everything currently in the vault. A sequel to the popular game Plants vs. Zombies: Garden Warfare was announced, bringing the audience ‘Too the Danger Zone’ with an over the top trailer. The trailer featured a transforming Orange monster, Zombies with superpowers, and a whole assortment of other plant related characters. The new Ford GT descended from the heavens like a metallic angel to kick off the Forza 6 announcement. Cars were shown. 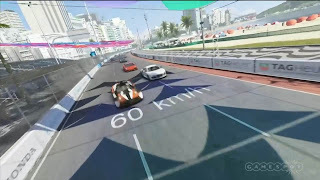 The game is releasing September 2015 and will contain over 450 cars, 24 player multiplayer, running at 1080p, 60fps exclusively on the Xbox One. 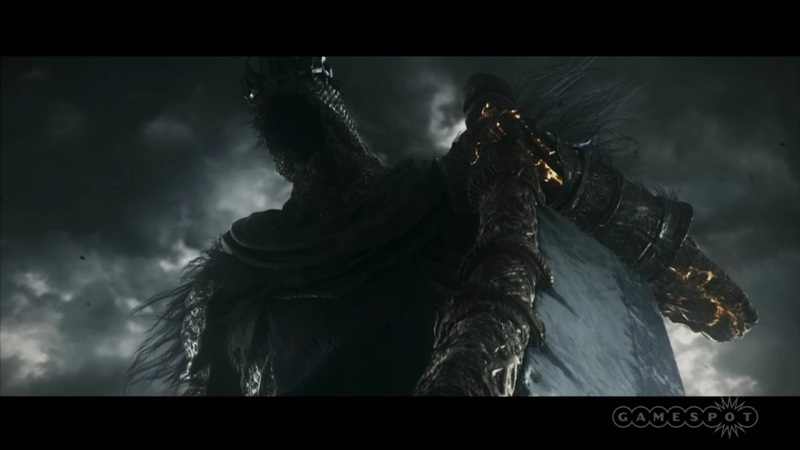 A cinematic trailer of a blasted and suspiciously gothic landscape was shown, culminating with a giant suit of armour rising from the deep. The suit of armour wielded a weapon not unlike Bloodborne’s saw cleaver. Allegedly a ‘world premiere’ of The Division was shown - you make think you’ve seen this game before but shush. 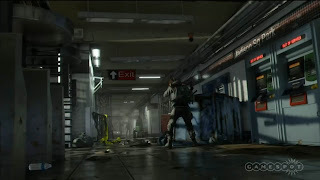 The gameplay trailer revealed that the playable characters were ‘activated as a last resort’ when the world went down the pan. The post-apocalyptic setting is made perfectly evident by the fact that every enemy in the world seems to be dressed in prison attire. The game will take place in New York, with an Xbox One exclusive beta landing this December. 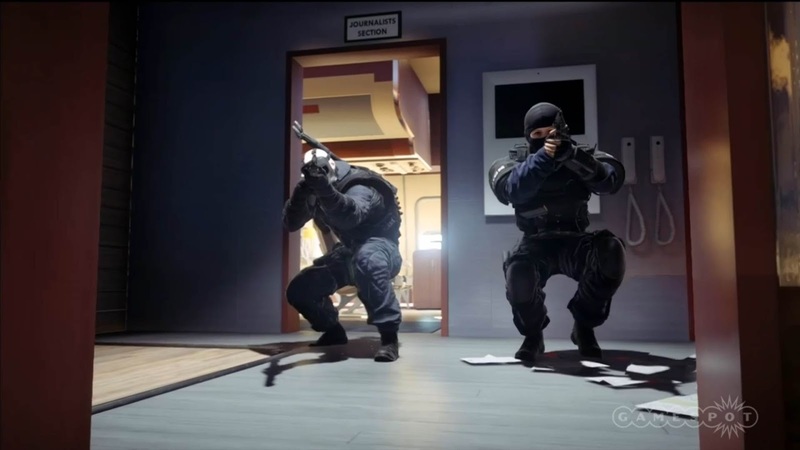 Dropping October 13th, Rainbow Six Siege will come packed with the soon-to-be backward compatible Rainbow Six: Vegas and Rainbow Six: Vegas 2. A few scenarios were shown, in one a team assaulted a grounded jet, packed with explosives. The demonstration filled with utterly staged player voice chat. The colourful Gigantic was revealed next as an Xbox One and Windows 10 free-to-play exclusive. 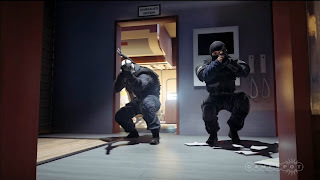 It appears to be a multiplayer game in the vein of Valve’s Team Fortress 2. A large collection of Indie games were shown in quick fashion, including some hits such as Goat Simulator and Day Z. Chris Charla came out on stage, and shilled the ID@Xbox program, announcing some exclusive debuts on Xbox One. These included; Tacoma by Fullbright releasing 2016, Ashen by Aurora44, and Beyond Eyes by Tiger & Squid for Summer 2015. 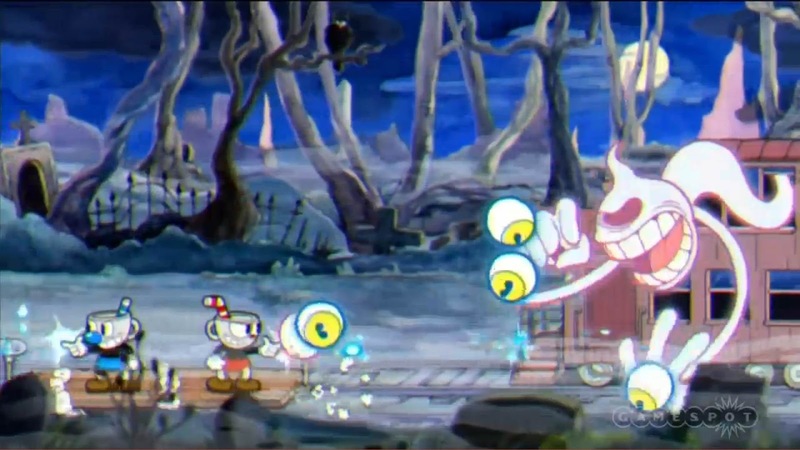 Cuphead by StudioMDHR was shown; a 16 bit side scroller with a 1930’s cartoon art style, and seen to the right. A huge collective sigh was let out with the announcement of Xbox Game Preview. Xbox Game Preview is in effect early access games on the Xbox One, similar to Steam’s own service. However, it offers a free trial of each game, so you don’t have to waste your money on broken, unfinished messed. Speaking of broken unfinished messes… DayZ was announced to be part of Xbox Game Preview along with Elite Dangerous, which Kyle claims to be, ‘the sickest space sim’. Along with The Long Dark and Sheltered. Dean Hall wandered out on stage and started to talk about a game, that’s not a game… but it’s kind of a game… it’s an experience you don’t play… Clearly Hall has never heard of a book, which is exactly what he’s talking about! Somewhat bitter editorialising aside, the space game Ion was revealed, though remained extremely vague. 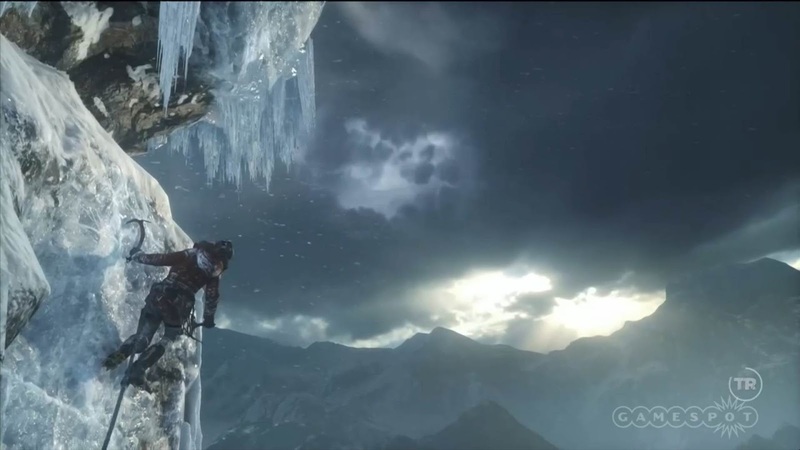 Lara and her male companion are seen scaling an icy mountain-side in the Tomb Raider demonstration, complete with quick time events, naturally. Lara took a beating as the ice begun to crumble and an avalanche raged ever closer. Towards the end, a series of environments and creatures were shown; Lara gutted (another) deer, there were also scorpions, and a bear. Rise of the Tomb Raider is launching exclusively on the Xbox One, November 10th 2015. Rare Replay was announced containing over 30 of Rare’s classic games for $30, including such hits such as; Battletoads, Conker's Bad Fur Day, and Banjo Kazooie. It was also shown that this collection will have 10,000 Game Score. No official release date was announced. 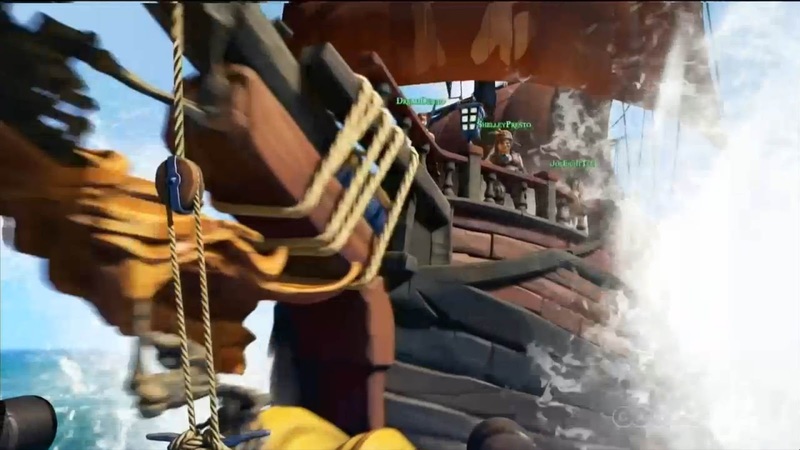 Rare then debuted their new Xbox One exclusive, which looks to be a Pirate MMO called Sea of Thieves. The players crew the ship; from the captain, first mate, and even the deck hands. Exploration and player versus player ship combat was shown. Fable Legends for Xbox One and Windows 10 was announced to be releasing this holiday season. The game will be free to play and will provide crossover play between Windows 10 and Xbox One. Microsoft have partnered with Valve; that’s right Valve Software, specifically concerning Valves’ VR technology. Valve VR will be coming to Windows 10, which shocked the audience, generating a long, stunned silence before the applause hit. This means that Microsoft has a deal with both Oculus and Valve when it comes to Virtual Reality in the near future. Everyone’s favourite topic here at GameDropZone; Microsoft’s HoloLens was brought out to show the future of ‘Holographic Gaming’. One of the Mojangsters Lydia Winters; the Director of Fun came out to talk about Minecon 2015 and to show off Minecraft on HoloLens, which has been built from the ground up. The demo kicked off with a holographic projection of Minecraft on a wall, viewable to the public using a special camera. The person playing the demo could play with Lydia in the same world, as she played on her tablet. 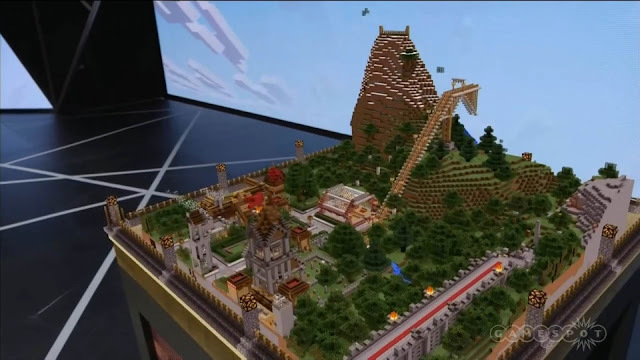 The demonstration then moved onto an actual 3D holographic projection on a table, with which the player could navigate using their hands and voice commands, even going as far as to issue Console Commands such as summoning lightning to ignite some TNT and marking an area of the map with a Beacon for players to see. Rod Fergusson from The Coalition came out to talk about Gears of War: Ultimate Edition for the Xbox One. Unfortunately, it’s only the first Gears of War game being remastered in 1080p, 60fps. The public beta will be available today, lasting for 1 week. The latest instalment of the Gears of War franchise took on a strangely Evolve-esque tone in its gameplay reveal. Two new characters, a man and a woman hunted a shadowy creature through moon-lit ruins, all the while the familiar Gears music played. The hunt was interrupted by a wild, lightning-wrapped hurricane that savaged the surrounding structures. Alien, glowing veins pulsate up the walls of the buildings the characters sought shelter from the storm in. The demonstration wrapped as they were attacked by a swarm of new monsters, bearing wet tentacle mouths. Coming holiday 2016. Phil Spencer closed the show with a small recap of the games and news covered, teasing a ‘New User Experience’ sometime this year, which will most likely be Windows 10 on Xbox On. The phrase ‘Jump Ahead with Xbox One’ closed out the show on the large display monitor.